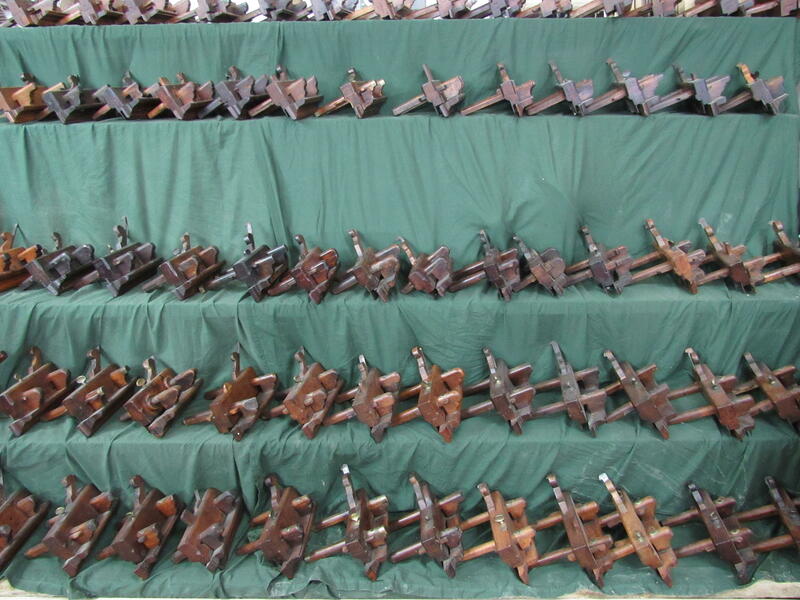 If old wooden planes are your thing then Richard Arnold's collection is something to behold. 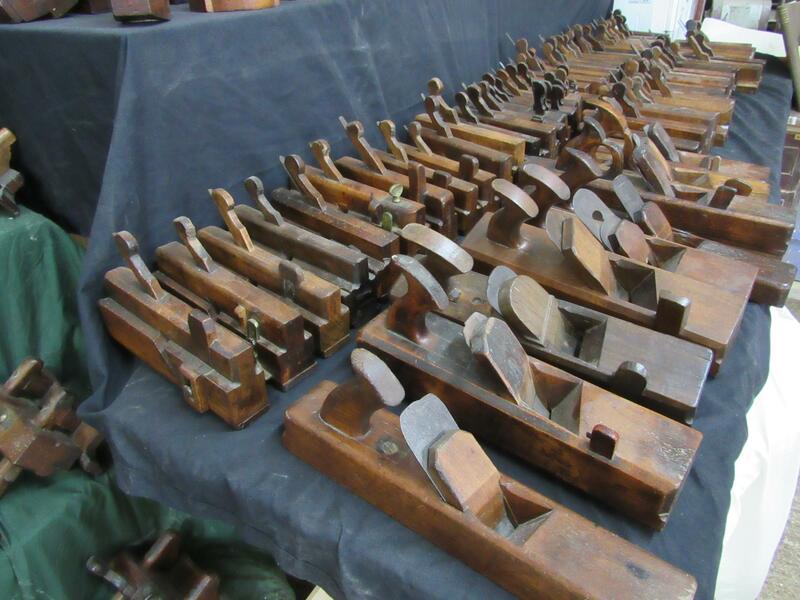 Both Richard's knowledge and enthusiasm for subject, especially early wooden plough planes, is much appreciated by those that have enjoyed one of his talks on the subject. 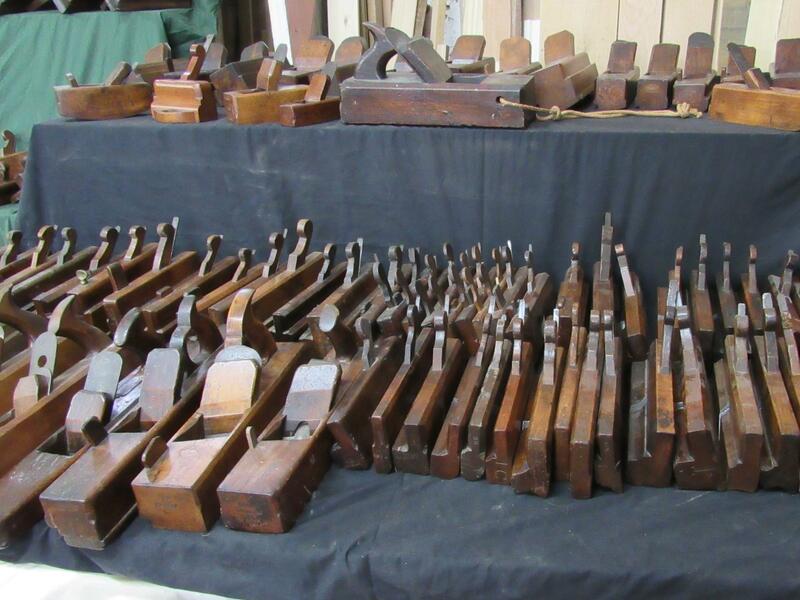 Richard, a full time woodworker, occasionally opens his workshop to raise funds for charity and these photos show part of his own substantial collection on display last year.